Fire Institute stretches students by taking them through in-depth Bible study, lessons in theology, a class project of their choice, sharing their faith, scripture memorization and more with every section growing in intensity. Fire Institute has four separate, eight week courses that will cause students to reach beyond themselves and experience a time with Christ like they never imagined. They will be asked to sacrifice things that have become all too familiar to their everyday lives with the reward being a life consumed by God's fire. 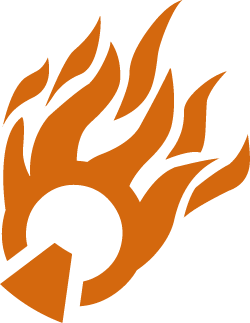 FIRE Institute works in conjunction with the five commitments of a Campus Missionary. A campus missionary spends time daily communicating with God, reading his Word and praying for friends, teachers, school administrators, family members, co-workers and others who do not have a personal relationship with Jesus. A campus missionary lives an authentic, consistent Christian life that demonstrates godly character, obedient faith and passionate love for God and his Word. These things should be evident in a lifestyle of worship to God and unselfish love for others. A campus missionary follows Jesus' example of servanthood by using his or her God-given abilities to serve the church and community. This involves demonstrating sincere humility and active compassion in a way that reflects Christ's love and influences others to consider Christ's claims for themselves. A campus missionary actively pursues opportunities to talk about Jesus, particularly with those for whom the campus missionary has committed to pray. He or she is prepared to initiate conversations about spiritual matters, to respond to questions about God and faith, and to lead others into a personal relationship with Christ. For more information, contact Kevin or Mitzi Pederson.